Seven details that make the Honda rider a GOAT following his 2018 crown. 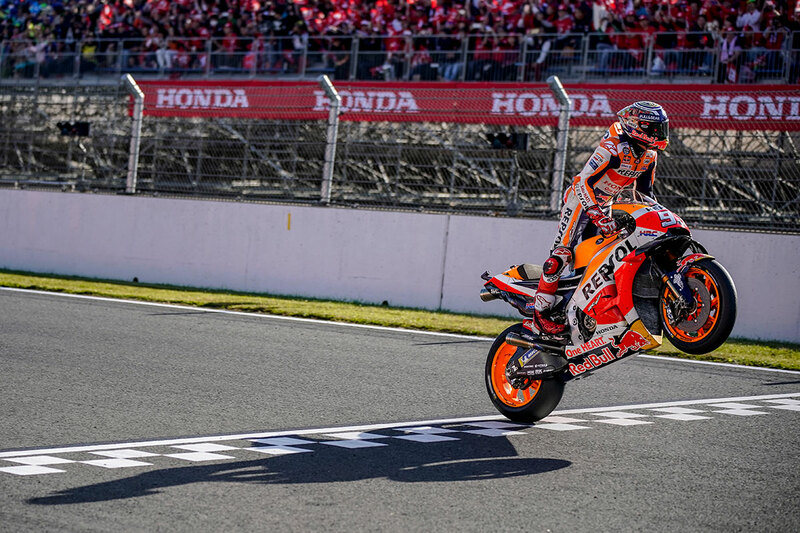 Repsol Honda’s Marc Marquez became a seven-time world champion last Sunday at Motegi, Japan, marking his fifth in MotoGP’s premier class. 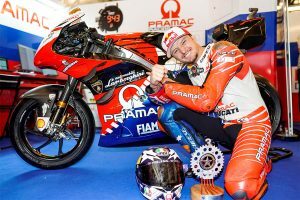 The Spanish 25-year-old continues to etch his name as one of the sport’s greats, joining a who’s who of riders in grand prix racing. At the age of 25 years and 246 days, Marquez is the youngest rider of all time to reach the milestone of seven world championships, taking the record from Mike Hailwood, who was 26 years and 140 days old when he won his seventh title in the 1966 350cc crown. Marquez is one of only eight riders to have taken seven or more world championships across all classes, the others being John Surtees (seven), Phil Read (seven), Carlo Ubbiali (nine), Mike Halewood (nine), Valentino Rossi (nine), Angel Nieto (13) and Giacomo Agostini (15). Marquez is the youngest rider ever to win five premier class titles at the age of 25 years and 246 days, taking the record from Valentino Rossi, who was 26 years and 221 days old when he won his fifth premier-class title in 2005. 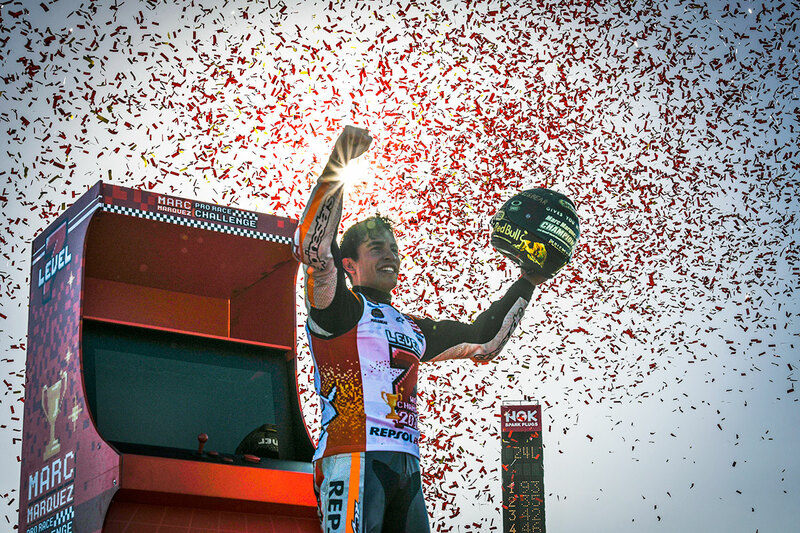 This year’s title sees Marquez join Mick Doohan, Valentino Rossi and Giacomo Agostini as one of only four riders to have taken five or more premier class titles. Marquez has won all his MotoGP titles while riding Honda motorcycles, joining Mick Doohan as the riders with the most premier class crowns with the Japanese manufacturer. Only one Spanish rider has won more world titles than Marquez – Angel Nieto, who earned 13 world championships (seven in the 125cc class and six in the 50cc class) between 1969 and 1984. 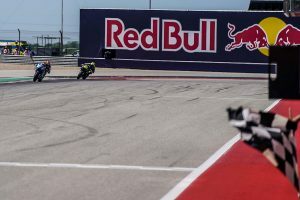 Marquez has won at least five GPs per season over the past nine years, across three categories being 125cc, Moto2 and MotoGP. 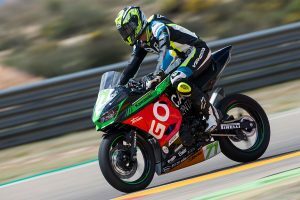 He is the first rider to achieve this distinction in the 70-year history of motorcycle grand prix racing, beating his own record from last year.